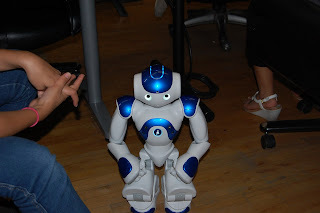 Robot Ambassador: HeatSync Labs is Mesa's mini Silicon Valley but more fun. HeatSync Labs is Mesa's mini Silicon Valley but more fun. Channel 12 news stopped by HeatSync last week and posted this article and video. They did a great job highlighting what HeatSync is about and described HeatSync as "Mesa's mini Silicon Valley but more fun?" We had 2 cool robots out and I was working on some graphics for laser cutting things with their image. 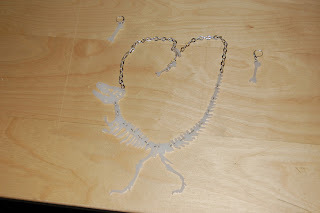 I helped make this super cool dinosaur necklace and earrings.